I'm mad at myself for not spending more time with this class this year. 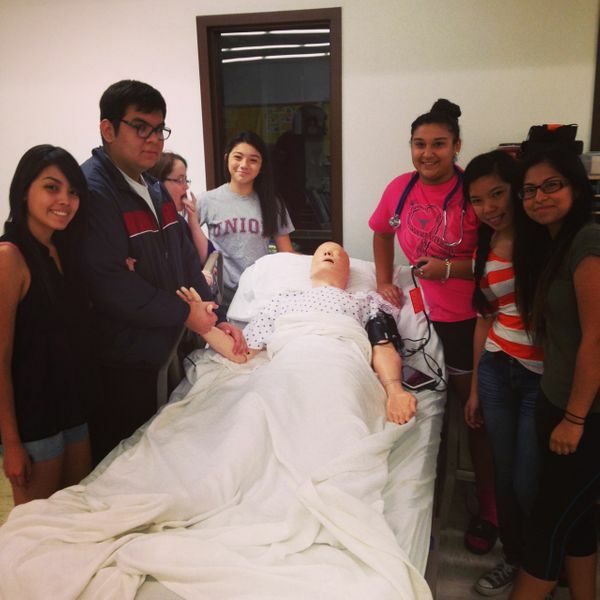 These kids from the Health Science Practicum class spend time at Crockett as well as a nearby hospital learning how to use various instruments and practicing procedures on complicated 'dummies'. Today I got the chance to learn from them for a few minutes while also getting to sneak a piece of student made flan & chocolate cake combo, which wins the dessert of the year award (and trust me, I've had a lot of dessert this year)!